TeleAmazonas is encrypted again after being temporarily unencrypted on 3915.00MHz, pol.H SR:3300 FEC:3/4 SID:1 PID:308/255 ,257 English (BISS). TeleAmazonas (Ecuador) is now transmitted Free To Air (3915.00MHz, pol.H SR:3300 FEC:3/4 SID:1 PID:308/255 ,257 English). TeleAmazonas is now encrypted in BISS (3915.00MHz, pol.H SR:3300 FEC:3/4 SID:1 PID:308/255 ,257 English). A new channel has started in DVB-S BISS: TeleAmazonas (Ecuador) on 3915.00MHz, pol.H SR:3300 FEC:3/4 SID:1 PID:308/255 ,257 English. TeleAmazonas (Ecuador) is now transmitted Free To Air (4024.00MHz, pol.H SR:5859 FEC:3/4 SID:1 PID:308/255 Spanish). New frequency for TeleAmazonas: 4024.00MHz, pol.H (DVB-S SR:5859 FEC:3/4 SID:1 PID:308/255 Spanish- Clear). TeleAmazonas is now encrypted in BISS (3879.00MHz, pol.H SR:5860 FEC:3/4 SID:1 PID:308/255 Spanish). 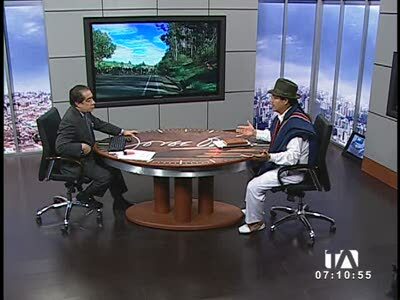 TeleAmazonas (Ecuador) is now transmitted Free To Air (3879.00MHz, pol.H SR:5860 FEC:3/4 SID:1 PID:308/255 Spanish). TeleAmazonas (Ecuador) is now transmitted Free To Air (3879.00MHz, pol.H SR:5860 FEC:3/4 SID:1 PID:308/255 Spanish,257). TeleAmazonas is now encrypted in BISS (3879.00MHz, pol.H SR:5860 FEC:3/4 SID:1 PID:308/255 Spanish,257).